Is a Cedar Shake Roof Right for Your Home? Your home has a natural style. 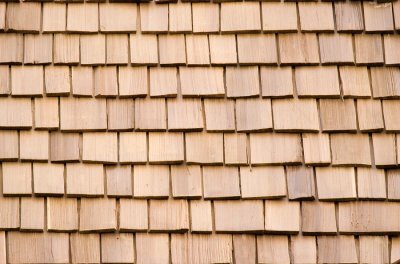 Today, cedar shake roofing is becoming increasingly popular as this material is featured in home design blogs and magazines. Often prized for its appearance that is more natural than that of other roofing types, new cedar shake roofs have a warm brown color that pairs excellently with many styles of homes. With age, the cedar shakes weather and take on a grayish-silver color that can give a house a natural and historic appeal. For homes that have log cabin, cottage, craftsman, Dutch colonial, prairie, farm house, or ranch architecture, a cedar shake roof can be an excellent choice. You prefer environmentally friendly materials. If you strive to live an eco-friendly lifestyle, then you should consider installing a cedar shake roof. When compared to asphalt shingles, this material is environmentally friendly because it is produced from natural materials. Also, cedar shakes can provide better insulation for your home and make it more energy-efficient. You want highly durable roofing. If you live in a location that is prone to high winds, rain, and hail, then a cedar shake roof could be a great option for you. With the proper installation, cedar shakes are less likely to suffer damage in the face of severe weather because, unlike asphalt shingles that can crack or bend, cedar is solid and sturdier. You’re willing to maintain your roof. While cedar shake roofs are known for being long-lasting and durable, they can require some upkeep if you want to get the longest life out of the material. All roofing types require some amount of maintenance, but because cedar shake roofs are made from all-natural materials, they can demand occasional treatments or power washing now to prevent mold and moss growth and keep insects away.